Storage has long been hailed as the holy grail of the renewable energy market, as it allows for a greater integration of technologies like solar PV and wind into the electrical grid. So, a lot of people have asked why energy storage hasn’t taken off in a more substantial fashion and at a more rapid pace. The simple answer is “Bankability”. Bankability is a term used in the renewable energy world to describe the likelihood that any particular technology or manufacturer will be funded by financiers. If a technology is new and unproven, banks and other financial institutions will be unlikely to fund associated projects until they have developed an industry track record through the performance of such technology, and have gained maturity in the marketplace. In the case of storage, bankability has two facets. The first is the bankability of the technology itself. While batteries have been around for well over a decade, the number of large scale installations (in relative terms) is still very small. For a technology and ultimately a manufacturer of that technology to be considered bankable by the financial market, companies must have developed and constructed a sufficient number of storage projects, and accumulated enough real world operational data to prove to financiers that their systems will perform or outperform their datasheets. Additionally, these manufacturers have to show financial stability, and a strong enough balance sheet to prove to financiers that they will be around to support the warranties that they provide with their systems. If manufacturers can meet these minimum criteria, financing groups may consider them “bankable”. Based on the revenues and costs of a particular project, what financial return can be earned? Are there any extraneous factors that could add additional costs or reduce cash flow to the project, and how can the financier mitigate these risks? How much does the financier trust the revenue projections presented to them both from a performance analysis perspective as well as a savings analysis perspective? 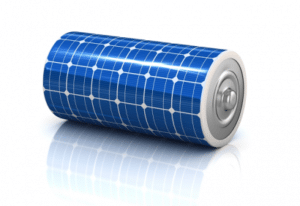 Demand Shaving – demand shaving revolves around the idea of shaving off demand spikes using battery storage. Shaving off these spikes lowers demand costs, which can account for nearly 50% of an energy customer’s electrical bills. Time-of-Use Bill Management – the idea here is that in areas where electrical rates vary based on the time of day (Time-of-Use tariffs), energy can be drawn from the grid at very low off-peak rates (typically at night when overall usage is at its lowest) to charge the batteries. This energy is then used to offset energy usage during on-peak rate times when energy costs are much higher (typically in the middle of the day when overall usage is at its highest). The difference in these two rates multiplied times the capacity of the battery then become the savings generated. If such changes occur, the storage modeling a financier relies on to determine project economics may vary substantially from the customer’s real world patterns. This can have a corresponding dramatic effect on potential savings. With this factor looming so large, financiers have looked to third party companies to provide storage modeling software to provide them with their expert analysis so that they may rely on their numbers. This is no different than the solar PV space. Financiers are not solar PV experts. Financiers rely on industry wide, agreed upon, solar PV modeling platforms which confirm system production with a high degree of accuracy. In this case, most financiers use PVSyst as their model of choice to confirm system production. Additionally, financiers also are not “avoided cost” experts; for this analysis, many financiers have become comfortable using Energy Toolbase as a reliable modeling tool for predicting avoided cost. ESyst: ESyst was recently launched by Growth Energy Labs, Inc. (GELI), and is an online platform that performs analysis and design of investment grade storage projects. It is an all-in-one package that provides site analysis, system selection, and robust financial projections for storage applications. Homer Pro: Homer Pro is a micro-grid software modeling platform that was originally developed by NREL labs and has continued its evolution within the Homer Energy Corporation. This is a powerful modeling platform that allows users to model hybrid power systems that include storage plus solar, wind, generators and other technologies. As the industry has time to digest these and other platforms, we believe a clear winner will emerge that will allow the investment community to embrace storage in a much broader fashion and will allow this segment of the market, which is so necessary to the continued growth of renewables as an industry, to finally thrive. When evaluating PPA opportunities for Solar PV projects, soft costs often don’t get enough consideration. For most financiers, there’s a general budget for each category of soft costs and that number doesn’t get reevaluated despite the nuances of a project…. It’s no secret that U.S politics has become massively polarized over recent decades. 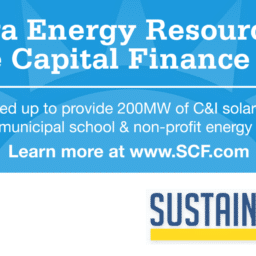 In the midst of political divisiveness, there is one area of common ground that has found consistent bi-partisan support in recent years, and that is Renewable Energy….